The guys at Newcastle Under Lyme are always polite and helpful giving prompt attention and service. The garage is busy but they always have time to explain the best options and prices and you can trust their advice - its for that reason that I and my sons always return for tyres and use National Tyres services. I have just had all my brake pads replaced - prices were excellent and they fitted them quickly giving me a call to say it was ready. You have a great team at this branch ! Professional, reliable and friendly. Nothing is too much trouble. Despite Allstar making a mess of my booking, the gentleman on reception was fantastic. Friendly, courteous, unflustered. The team at Newcastle-under-Lyme are not my nearest branch; however, service and pricing over the past year and a half of service has convinced me that they are worth supporting and praising. My most recent experience yesterday was totally satisfactory, I arrived slightly early, they gave me a very competitive price and told me how long the work would take. The work was done on time and appears to be what was quoted for. Very helpful staff who completed a repair on the spot. Having just moved to Newcastle under Lyme I was looking for somewhere to get my car MOT'D. and was recommended to try National tyres by a friend. The standard of care and courtesy I received was truly excellent and I can't praise Paul Barnes and his colleagues highly enough. Needless to say I won't be going anywhere else for replacement tyres and MOT'S in the future! Please pass on my grateful thanks to them. Very impressed from start to finish with the service I received. Prompt service. Pleasant and helpful staff. Had oil change and it was completed quickly and they kept me informed. Tyres ordered on line along with alignment check , job completed , questions answered and back home within an hour . Excellent customer service, very polite and helpful regarding information on all tyres. Great customer interaction from staff. Came in with AA recovery. Branch was really busy but I was told truthfully about waiting times, kept informed of progress and all customers waiting were offered tea and coffee. Reasonable, friendly and professional people. Excellent service from ringing to find price and availability to fitting. Friendly polite and efficient staff. Clean and reasonably comfortable wating area. Only had puncture repaired, so can't comment on tyre prices. Absolutely fantastic service from Dave!! I have had the best customer service ever,wish all companies were like this one in Newcastle under Lyme.Very professional courteous and helpful this is the 3rd time I have been here and wouldn't use anyone else . Thank you sooo much Dave ???? I always use same branch nearly 10-15 years. Took lease vehicle as contracted to National tyres. Couldn't fault the staff or the service I received but can purchase tyres cheaper locally with the same service for my own vehicle. Excellent service at an excellent price. My exhaust was fitted by Paul Barnes, who despite problems , did everything he could to avoid any further costs. I would definitely return to this garage for future work and would strongly recommend it to friends and family!!! The helpful service from the staff. Price and professional friendly staff. Very friendly and extremely helpful staff. The staff were brilliant and very friendly could not help enough and service was very fast. Freindly and professional. they did not try and sell me things that I didnt want lkke other similar garages do. Paul Barnes, showed enthusiasm and skill and was very polite, even though he struggled to replace my oil filter, he pursued it in a professional manner at all times. Cheap wheel alignment. Clean waiting room. Friendly staff. Good value, fast service and friendly staff. David has an excellent customer service skills nothing was to much trouble. 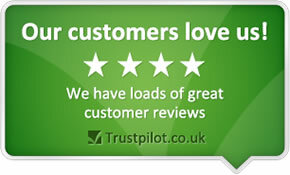 Very polite Staff, very helpful, very informative, very quick service with a smile, very competitive prices.. The staff were knowledgeable, polite, friendly and found the best deal for me. Right after my arrival the staff devoted to me. Give me professional advice. Changing tyre was made without undue delay. Thank you. Trust the staff, slways helpful, fast service and good prices. Took my car in for an inspection after noticing a rattling sound coming from the front offside tyre. Within 30 minutes I received a phone call advising me what the problem was and within 2 hours the car was ready for collection. The service I received from National was fantastic and the mechanics are a credit to the company. I really cannot praise them enough! I warm welcome by Paul who explained and showed me what was the problem with my car he,s doing a wonderful job so happy with the work .He is so good at as his job thank you again. Fast freindly service, good prices and good stock levels. I received professional and prompt service (tyres fitting, balancing, tracking) at ST5 9EW branch on 24 Sep 2011 afternoon. I was served by Richard T., who was polite and informative, didn’t mind my questions, explained any doubts I had, and showed why the work was required. Probably the best deals. Local branch & staff advice.